Jake has over 21 years experience in the construction industry. 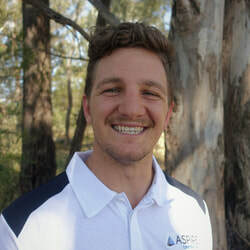 As a second generation builder completing his Carpentry Apprenticeship with his father, he then gained his own builders license at the age of 21 and moved on to work for a large construction company working through the ranks as a leading hand then Site Foreman and Construction Manager, running multi-million dollar developments. His drive and passion for building luxury homes and high-end house renovations led him to step out on his own and in 2006 Aspire Constructions was born. Always striving and testing the boundaries in construction and his willingness to take on intricate jobs that many builders may shy away from has fueled his passion for discovering new ways and products to work with to achieve the best possible outcome for his clients. Combining his extensive experience, training and attention to detail will ensure that your build will adhere to the very highest standards. This is proven as Jake has built Aspire Constructions into an award winning team which is highly sought after by clients and architects. When he's not on the job you can find him catching waves with his little man most Saturday mornings or moonlighting as an aspiring children's author writing funny stories with his 4 kids at bedtime. Wife to Jake and mum to their 4 children. Liza has over 10 years working in the construction industry on the administration side, working for previous constructions companies before taking on administration of Aspire Constructions since its humble beginnings. Taking a step back from the Office Management since the birth of their last little one in 2013 - she has taken over Media & Marketing whilst assisting our Office Manager with Ad-Hoc duties to ensure that the administration side runs smoothly. When she's not dominating in the office you'll find her wrangling the kids, and all that encompasses! 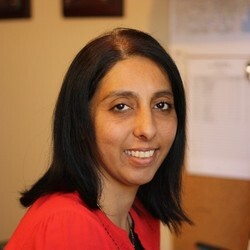 With her professional training as an accountant, Riz runs our entire office administration side. She keeps our company running smoothly from the back end working closely with Jake and staff to ensure all our administrative tasks run smoothly. When Riz isn't tackling our books you'll find her keeping up with her 3 school aged kids and the hubby. 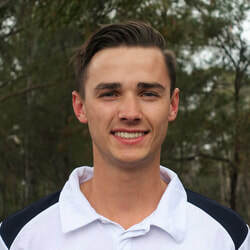 Aaron completed his apprenticeship with his dad - and was given full reign of the business barely a full tradesman as his dad left to travel around Australia for 6 months - upon his return he continued on in Culburra Beach working with his own clients. He has worked for several builders over the years but finally saw the light once he joined the Aspire Team and he's never looked back! Aaron runs one of our sites as a hands on Site Foreman, dealing directly with Jake, client and architect to ensure the construction works for our projects are completed to our highest standards. With over 15 years experience in the construction industry and joining our team as a second generation carpenter bringing a keen eye for detail whilst being able to liaise with clients to make sure they know the details of every step of the way and can rest easy knowing that their project is in safe hands. When he's not crushing it onsite making clients happy you'll find him working on his own home in Wollongong or down the South Coast in Culburra his old stomping ground. After working in commercial carpentry, Jay decided jump ship and move over to residential building to join the Aspire team as a step towards the goal of becoming a builder. Growing up on a farm, he's a country boy at heart and he brings a fantastic work ethic and great eye for detail which makes him a valuable part of our team. He works closely with Jake, client and architect as one of our hands on Site Foreman managing the day to day works to ensure our core values and high standards are always at the forefront in everything we do. When he's not on site you'll find him most weekends hanging out with his better half, running around with his little man or with his mates. After a successful career as a Shipwright (boat builder) for over 10 years which involved the construction of many sailing yachts and catamarans – including around the world racing yachts, multi-million dollar cruisers and “Sydney to Hobart” racing yachts, Shane decided to shift careers into Carpentry. Utilising the skills he has gained from the many years of boat building he is now one of our Carpenters working closely with Jake and the team across our projects to ensure Aspire Constructions high standards for quality construction are met on time every time. After starting his apprenticeship doing frames and trusses, Patrick decided that jumping on board with Team Aspire would be a better step towards his goal of becoming a builder - to learn the ropes of high residential building from Jake and the team. Interested in learning all facets of building from the ground up to handover - he works with our foreman and Jake make sure that the Aspire strive for excellence is always at the forefront. He's moving up the ranks and can't wait to be ready to take on his own project as a Site Foreman in due course. 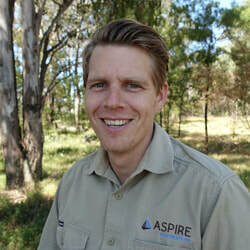 Working for Aspire, he hopes to gain as much knowledge of the industry to further himself towards his goal of becoming a licensed builder and run his own successful business. When he's not dominating onsite you'll find him fishing or spear fishing, hitting the gym, tinkering in the garage or taking his dog for a run. James love of great architecture and working with his hands led him to jump straight into carpentry after leaving school. 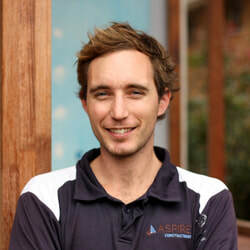 He joined the Aspire team toward the end of the his apprenticeship hoping to learn all he can about building from Jake and the boys in all areas of high residential building so that he an get closer to his goal of becoming a builder and running his own business. He works closely with Jake and our Site Foreman to keep our projects on track and ensuring our high standards are adhered to throughout our projects. When he's not smashing it onsite you'll find him in the great outdoors - camping, four wheel driving, dirt biking, spear fishing, surfing and that’s usually where you will find him on the weekends.